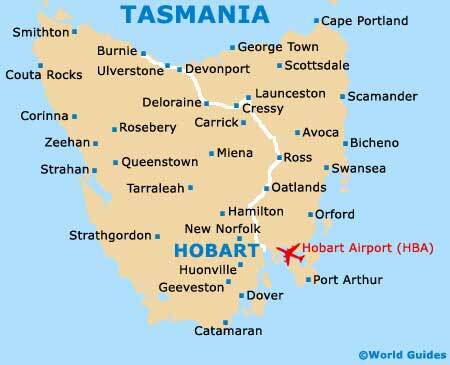 For hundreds of years, Tasmania has been seen as a world apart, isolated from the rest of Australia by the Bass Strait. In recent years, this Australian island state has succeeded in opening itself up to the rest of the world, and in doing so, has revealed some of its hidden treasures. Tasmania may have transformed itself into the sort of place considered cool by tourists, some of whom like to refer to the island as 'Tassie', but there is still an impressive sense of wildness about the place. There are inspirational national parks to be explored, like the Narawntapu National Park, as well as hidden corners such as the Huon Valley, with its rugged mountain peaks, underground caves and ancient forest land. The island can still boast an abundance of wildlife, which goes to prove that geographic and genetic isolation can be a good thing for preserving fragile ecosystems. Consequently, Tasmania has managed to hang on to some rather unique wildlife and plants, including the infamous Tasmanian devil, which can only be found in the wild here on the island of Tasmania. For some visitors to Hobart, their first view of the city is from the sea. Dozens of cruise ships anchor here during the summer months. For a relatively small city, Hobart packs quite a punch both in terms of its culture and gastronomy. The city's restaurants and cafes are widely acclaimed. So too is its vibrant nightlife, ranging from a night out in one of Hobart's pubs to a trip to Australia's oldest theatre, the Theatre Royal. Tasmania has close links with Antarctica, with regular supply trips running from the port of Hobart. The state's other link with the frozen wastes of the South Pole is Macquarie Island, located between New Zealand and Antarctica, which became a Tasmanian State Reserve in 1978.